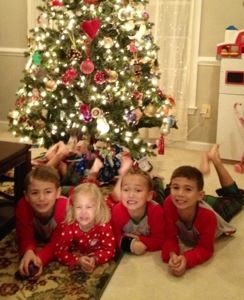 The odds of getting all four kids in the same picture are low. The odds of them all looking at the camera are lower. The odds of all of them smiling even lower. The odds of them doing it while dressed in matching pajamas in front of a lit Christmas tree? Near impossible.